The 5th Annual Apprenticeship Conference will provide business-critical updates, advice and keynotes for those involved in the delivery of apprenticeships. 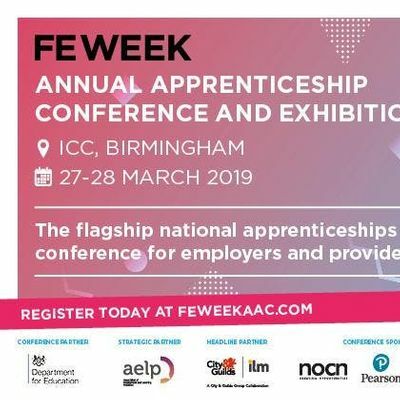 AAC, in partnership with the Department for Education, is recognised as the flagship national apprenticeship conference for employers and providers. 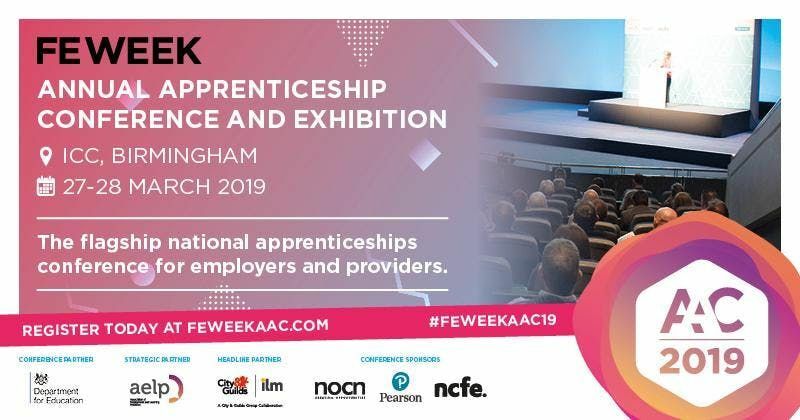 Across two days the conference will provide over 1,250 delegates with an opportunity to access vital updates on apprenticeship policy, network with apprenticeship experts, debate how programmes can be successfully delivered & meet the needs of industry and much more. AAC is the must-attend apprenticeship conference of the year. 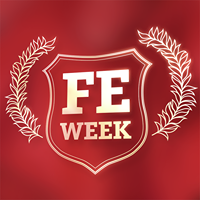 For 2019, the exhibition element to the event free will be free to attend for Thursday 28th March. This will include a number of free-to-attend seminars in the exhibition area. Please note these free exhibition tickets do not include lunch and refreshments and do not allow access into the AAC Conference workshops or plenary sessions. This is the page for the free exhibition only tickets for Thursday 28 March 2019. These free exhibition tickets do not include lunch and refreshments and do not allow access into the AAC conference workshops or plenary sessions. Full conference and single day tickets are available to purchase via the website. Group booking discounts are available for two or more delegates. No, lunch is not provided for exhibition attendees, but will be available for purchase on the day around the venue. For AAC delegates who have purchased paid conference tickets via the website, lunch and refreshments are included for each day of your ticket. Please send your questions over to YWFjIHwgZmV3ZWVrICEgY28gISB1aw== or call into the office on 020 8123 4778.